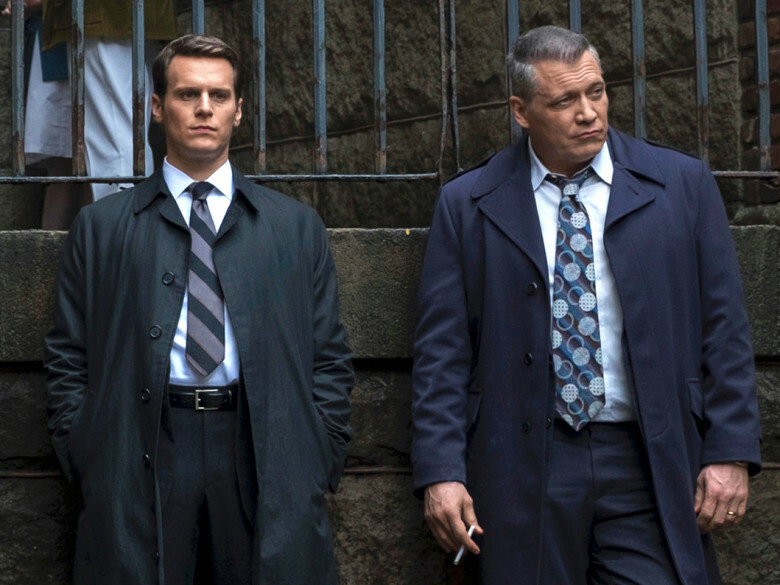 Holt McCallany is currently enthralling us all with his portrayal of FBI agent, Bill Tench, on Netflix’s hit series Mindhunter. Holt has enjoyed a long and successful acting career, including films such as Alien 3 and Fight Club. In my interview with him we explored such topics as: his childhood, his close association with David Fincher and his thoughts on serial killers. HM: Nice to finally speak to you, where do you live? PC: I live in Edinburgh. That was one of the reasons I was keen to speak to you, because I know you have spent time here. HM: Many, many years ago I went there to do a production of Twelfth Night. In the old days they used to offer these intensive Shakespeare seminars at Oxford University in England and I did one of them. At the end of the summer you go up to Edinburgh and do a production, so we did Shakespeare’s Twelfth Night and I played Sir Toby Belch. PC: How long did it run for, the whole period? HM: Oh no, I think we only ran for a couple of weeks. Probably wasn’t my best performance, I was very young maybe 18 -19. PC: I was trying to find some reviews or write ups for it but I think it was just too far back. HM: It’s too far back and it would have been also a very small production. I know that people come from all over the world to the Fringe Festival in Edinburgh and I must say it was a very exciting place. I have fond memories of it, a beautiful city: love the people, love the atmosphere. Ours was a little show, 30 years ago, that lasted a couple of weeks, so I don’t think you will find anything. PC: You need to come back to Edinburgh, that’s what I think. HM: I would love to, I’m going to do a movie in London beginning in January. PC: Really, come stay, bring your fair maiden, bring Jonathan (Groff). HM: Yes, you know he is so much fun to have around! Jonathan loves the theatre. He could probably be talked into a weekend in London, just because I know he would see every show in the West End. PC: He is like a little boy, he gets so excited when he’s doing interviews, he’s beaming, it’s funny whereas you are all cool and laid back. HM: Aha! We are very different but I have to say his enthusiasm is infectious and it’s one of the things that I love about him. Jonathan is one of those guys who is always in a great mood, always smiling, always with a great attitude – and that’s not easy to pull off at 5 a.m. when you have been shooting for nine straight months. HM: Jonathan is just the happiest guy I’ve ever known. PC: You can see the obvious chemistry between you. HM: He is very talented. He’s very respectful to David Fincher and to the crew. He’s very well-prepared. He always does his homework. He shows up with a great attitude, as I mentioned, ready to work, knowing all his lines. What else could you ask for in an acting partner? It’s been a pleasure from day one. PC: Perfect! I wonder what he would say about you if I asked him. PC: For goodness sake! (Both laugh). 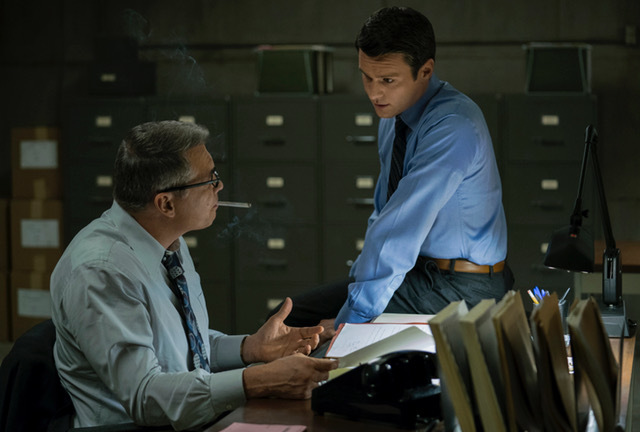 I must congratulate you anyway on the official announcement of the renewal for season two of Mindhunter, that’s exciting isn’t it. HM: Well that’s kind of you Paula. I hope there will be a similar announcement made about season three and four and five, I hope it gets five years. PC: I do hope so! It’s such a good show you must be on cloud nine at how successful it’s been. The first episode, I have to say I struggled a little in the scene with Holden where the music is playing in the background. I was concerned it might be one of those where you can’t hear the actors as clearly as you would like. But after that I was like ‘whoo!’ I couldn’t leave it alone. Everyone is talking about it. HM: You know, David is such a gifted, and experienced filmmaker, I don’t ever think he would make that kind of mistake, you know, letting the soundtrack overtake the dialogue. HM: I mean if you are shooting a scene in a bar or a concert or a nightclub and the music is deafening because that’s the location, that’s one thing. He is very precise. It’s one of the best things about this experience, Paula: I really am working with one of the best directors in the world. It’s often said that he’s one of the greatest directors of his generation and I think when film historians look back at David’s body of work … and of course he’s not finished, he’s still a young man, I think it’s arguable that he’s one of the greatest directors of all time. And he’s very driven to continue working. I am a very, very lucky actor to be in such good company. PC: Do you think he always had you in mind after Alien 3 and Fight Club and was waiting for just the right role to have you working with him again? As in, ‘I’ve got this guy, he is special and I’m going to keep him until the perfect role for his acting skills is created.’ (I believe Joss Whedon did that with James Spader, had a meeting with him, said he would at some point create a role especially suited to him, and three years later cast him as Ultron). Do you think David Fincher kept you back for his special project so to speak? HM: It’s an interesting question Paula. I can’t really figure out what it was that David saw in me all those years ago (and that’s not false modesty or my trying to avoid the question). For example: when he cast me in Alien 3, his first movie, which was a big movie. Sigourney Weaver was, I think, the highest paid female actress in the world at that time. The franchise was a huge success and it was David’s first film. It was shot in London on the old James Bond stage at Pinewood Studios and the cast were all British, there was only myself and one other actor he brought over from America. You have to remember at that time I’m still in my early twenties and I haven’t really done anything and I don’t really have a resumé. I’d done a couple of small parts in smaller movies, and yet he took me with him to London and I spent 5 months with him there shooting Alien 3 then he brought me back again for Fight Club. Along the way there were other a couple of other little things: I was offered a part in Panic Room which I couldn’t do because I couldn’t make the dates; I was offered a scene in a video he shot that starred Madonna but I don’t think I made it in the final cut – so he did kind of keep me in mind over the years, which I’m grateful for. However I had no suspicion, or no ‘expectation’ is a better word, that it was leading to this kind of an opportunity: being one of the leads in a series. Remember now, when you decide to go into business with someone in a television show it’s a very different situation than if you are going to make a movie with somebody. If you make a movie with someone, we are going to be together for about 90 days, sometimes less, sometimes it’s a little bit more, but very rarely that much more. This could be a five-year job, do you know what I mean? You have to think carefully about who you want to go on that journey with. So just the fact that he would consider me for that kind of an opportunity was very gratifying to me. And I don’t take anything for granted Paula because, you know, I had a lot of fun playing Bill – it’s a great part. There are a lot of very talented, very experienced, accomplished actors in Los Angeles and elsewhere who would give their left arm to be on Mindhunter for David Fincher. I’m the lucky one who got picked. If the question is: why? I have no idea. PC: Do you think about it much? 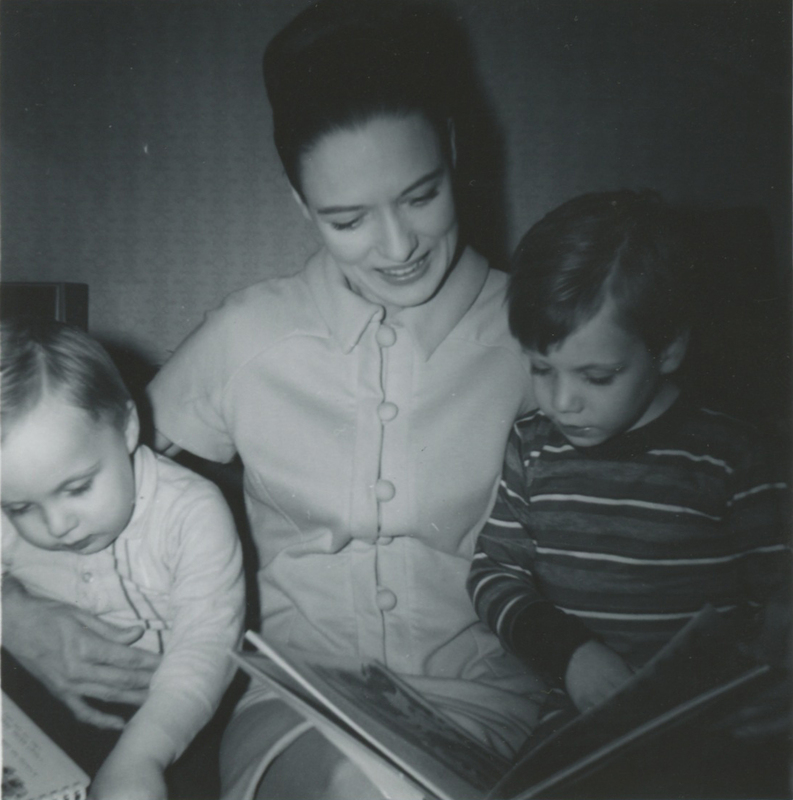 I had a close relationship with my mother, (Julie Wilson) she was in show business for over 65 years and was a very well-known singer in New York and also an accomplished Broadway actress. 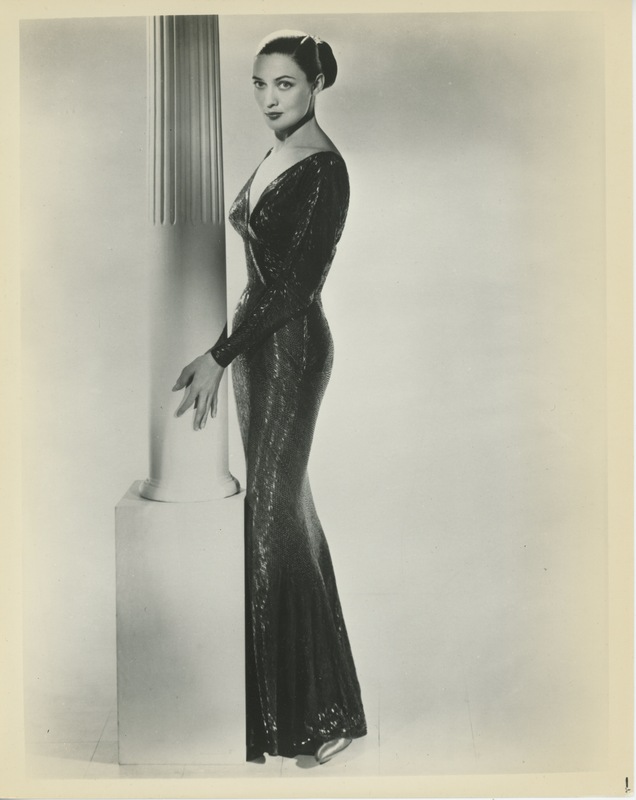 She made a couple of movies in Hollywood and really worked in all the areas she could as an actor. She used to say, ‘The mark of a true friend is someone who tries to anticipate your needs,’ so I really try to take that to heart – so that’s what I mean. What do I think about? I get a script, I read a scene and I try to think about what David’s approach to this particular scene in the episode might be and how I can help him to achieve that. I don’t always get that right: sometimes he shows up and has a very different idea about some things than what I imagine he might have. But when you do work with someone over a long period of time you get a sense of their tastes and of their style, and of their rhythm. Every director is different and the things that interest David and David’s style of working are very different. I did a movie last year with Clint Eastwood; I grew up watching Clint Eastwood’s movies and loving Clint Eastwood. Then I got a chance to do a small part in a movie he was directing with Tom Hanks. I’d always wanted to work with Tom Hanks as well, because Tom Hanks and I began our careers in exactly the same place: we were both unpaid apprentice actors at the Great Lakes Shakespeare Festival in Cleveland, Ohio. Tom was a few years before me but when I met Tom on the set we hit it off immediately. He’s one of the nicest guys in the world. PC: Tom Hanks was actually filming approximately 5 miles from my house for his scenes in the Da Vinci Code at Roslyn Chapel. I never got to see him though, but small world. HM: That is so funny. What I was going to say was Clint will do one or two takes and move on, whereas David might do thirty or forty. You have to kind of adapt to a particular director’s shooting style and you have to embrace it and it really varies wildly from project-to-project and director-to-director. It’s always amazing as an actor, who has been now in the business for over thirty years and had the opportunity to work with many of the well known directors in Hollywood, the thing that I’m consistently fascinated by is how different they are in their approach to work, in their style of shooting, in the things that matter to them. HM: That’s correct. I suppose when you are a guy who has been around as long as Clint has and have the kind of iconic status that Clint has in the business, you don’t have to raise your voice. People will do what he asks them to do. PC: Is it a kind of urban myth that directors will shout and scream or does that really happen? HM: Sure. I worked with Michael Mann. He will start screaming at you right there in the middle of the set! PC: So let’s start at the beginning… I wanted to ask about your unusual name. HM: Well you know, Holt, was actually my grandfather’s name and I also have cousins in Ireland named Holt. PC: Is that an Irish name? HM: Yeah, I liked that. It took me time to kind of grow into my name. PC: I really like it and Quinn is your middle name? HM: Quinn is my middle name, yes. So what happened was: my father grew up in Ireland and his birth name was Michael Noel Quinn. My father’s father died when my father was only six months old and my father’s mother subsequently married a man called Holt McAloney. When my father became an actor there was already a Michael Quinn and by Actors’ Equity Union law in the United States, you cannot take the same name as another actor who is already registered with the union, so my father could not be Michael Quinn. Out of respect for his stepfather, who he really loved and adored, he took his name. I spell it a little differently because nobody could pronounce it. PC: You were born in New York City, what are your earliest memories? HM: Well look, New York in the ‘60s (when I was a little boy) was a magical place but we left New York rather early because my father believed that a classical Irish education was superior – I guess because that’s what he’d had – and so, when I was 5 years old, I was sent to Ireland. I started school in Dublin in a place called Howth. It’s a nice part of Dublin, sort of on the way to Wicklow, I guess, and I lived there with a family who had a little boy my age. There was myself and I had a younger brother in those days (who is now deceased) and I started school with the Christian brothers. The problem was that my father had a drinking problem, like many Irishmen of his generation. My mother eventually could no longer tolerate the drinking. I mean she really tried very hard for a very long time to make the marriage work (because she was all about family, she wanted a family) but finally the drinking became too much so she decided to divorce my father. In the 1960’s you couldn’t get a divorce in Ireland – I don’t think it was actually until the ‘90s that it was legal to divorce in Ireland. If you can imagine this she flew to Mexico City, where you could apparently get a divorce in like 25 minutes. The famous story is: in those days there was an actor’s pub called Jim Downey’s on 8th Avenue in Manhattan, and this was where all the broadway actors would go and congregate. They had a big community table (a round table in one of the corners) if you were on your own you could just sit and have a drink and people would come in. It was a very sort of fraternal crowd that Downey’s had in those days. My father is sitting there one day, he was reading Variety, which of course was sort of like the Bible of entertainment. One of his buddies came in and said, ‘Are you reading about yourself?’ My father said, ‘What are you talking about?’ He replied, ‘Why don’t you look in the personal section?’ So my father turned to the back of Variety where they list the personal announcements, including obituaries, marriages and things like that. It said: “Singer/Actress Julie Wilson divorced legit producer Michael McAloney. They have two sons” and that’s how he found out he was divorced. PC: What was his reaction do you know? HM: I think that he saw it coming, though he may not have expected to have that experience on that particular day. The marriage had been in trouble for some time. PC: What kind of father was he? HM: He was very old school, very, you know, autocratic. [He] had also grown up a little bit of a dilettante because his family in Ireland were wealthy; they were breeders of horses, they owned stables outside Dublin called Montpellier stables and they would export thoroughbred Irish racehorses to the United States and it was a very lucrative business, and his grandfather was a veterinary surgeon who specialized in race horses. When he was a boy in school his college roommate later went on to be Prime Minister of Ireland (that kind of thing) so it was a bit of a challenge for him because, having grown up with a little bit of a privileged background, it’s the hard knocks that you have in store for you when you try to pound the pavement in New York City and earn a living as a stage actor on Broadway. Do you know what I mean? It’s not as glamorous as people think. PC: Did you have as good as a relationship with him as you did your mother? HM: You know Paula, I tried to stay loyal to him over the course of his life. It was challenging because what happened was, as his alcoholism progressed as he got older, he began to have a myriad of health problems – all related to the drinking. It was almost like his body was sort of breaking down like an old car. One week he would have liver problems then a couple of weeks later kidney problems and then he would have a heart attack and then it would be a mini-stroke. Then it was cancer which is eventually what got him. We always thought it would be the alcoholism that would end up taking his life but it turned out to be the smoking: he died of throat cancer which is a horrible way to die. The end of his life wasn’t very pretty to be honest with you, Paula. He died in the Actors Home of New Jersey (probably made famous by a Neil Simon movie called The Sunshine Boys with Walter Matthau and George Burns, they referenced the Actors Home of New Jersey) so that’s where my father died. I was there the night that he died and, to be honest with you, it was kind of a blessing because he had been in so much pain for so long, with so many health problems and he had been so miserable, for him personally and to everyone around him – he was a difficult guy because he was in pain and uncomfortable. It was completely the opposite when my mother passed away because, even though she lived to be 90, she was still in very good condition. She’d had a couple of strokes but recovered from them fully and she was really leading a very active lifestyle. She would travel with me. I took her to Paris for her 90th birthday – I threw a big party for her there. I took her to Ireland for Christmas one year. She would come out frequently to Los Angeles and stay with me at my house and we would go out and see shows, go to restaurants, see singers. Do you know what I mean? PC: Yeah, I love that video where you are singing together, it’s so good! HM: We did that a lot at the end of her life. What happened, Paula, was that I never really worked on my singing. I was always interested in being an actor first and foremost, and in film and television you don’t get asked to sing very often, you just don’t! So it wasn’t the kind of thing that was a burning priority for me, although I did have voice training, and I always felt I was somebody who could hold a tune. 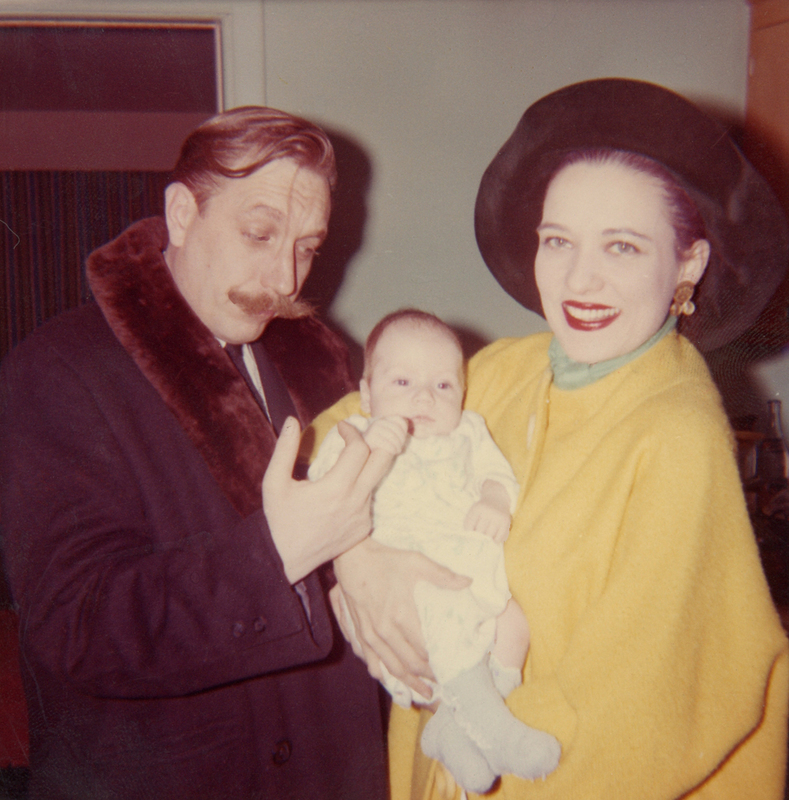 Of course my mother was considered a great singer – one of the best cabaret singers in the world in her prime – so there was a lot to live up to in that respect. 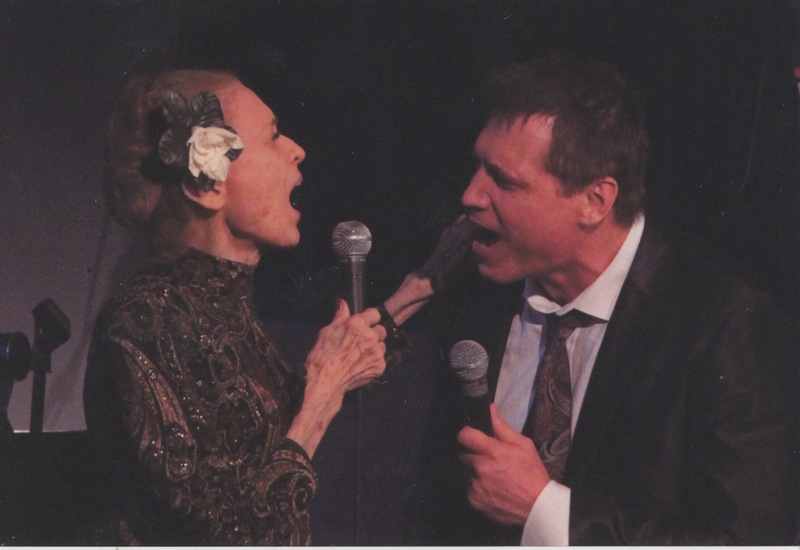 There was a certain point, when my mother was in her early eighties, that it suddenly became clear to me that one of the things that she loved most in the world was to hear her son sing, and I didn’t realize previously how much she enjoyed that (being a singer herself and doing a duet with me). So I kind of rededicated myself to my vocal training primarily for her benefit. 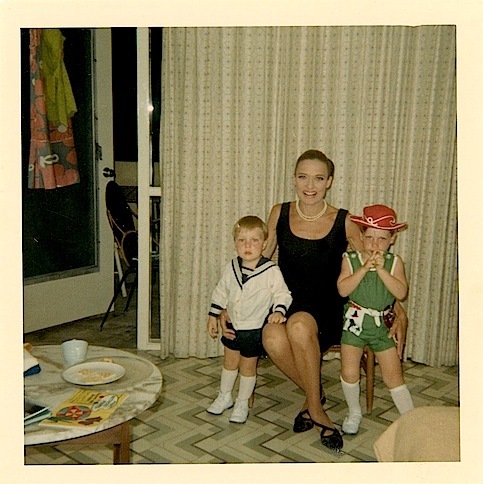 I didn’t have any aspirations about being a famous singer, more just about having fun with my mother. PC: What a sweet boy, every mother’s dream. HM: Well, you know what though Paula? To be honest with you, I was trying to make amends. PC: You were a naughty boy before that, weren’t you? HM: That’s it. I had been a naughty boy in my adolescence. PC: Why were you naughty? Well that wasn’t the answer I was looking for and so I ran away from home when I was 14 years old and I took a Greyhound bus to LA to be a movie actor. I didn’t really know anybody and I didn’t have any contacts or any real sense of how to do it. I ended up with a job in a screwdriver factory in a place called Gardena unloading trucks. And then my father found me and sent me back to Ireland to school. It wasn’t until I went to the Great Lakes Shakespeare Festival, years later, that I started my professional career. I finished high school by the skin of my teeth. I went to Paris for a couple of years – theatre school – then right back to New York and began my career 30 years ago. PC: Looking back now, do you think your parents were correct in their thinking? HM: The truth is: I don’t have any regrets about the decision they made. You know, the notion that I was going to have some sort of a ‘normal childhood’ out of a Norman Rockwell painting was a little overly optimistic. 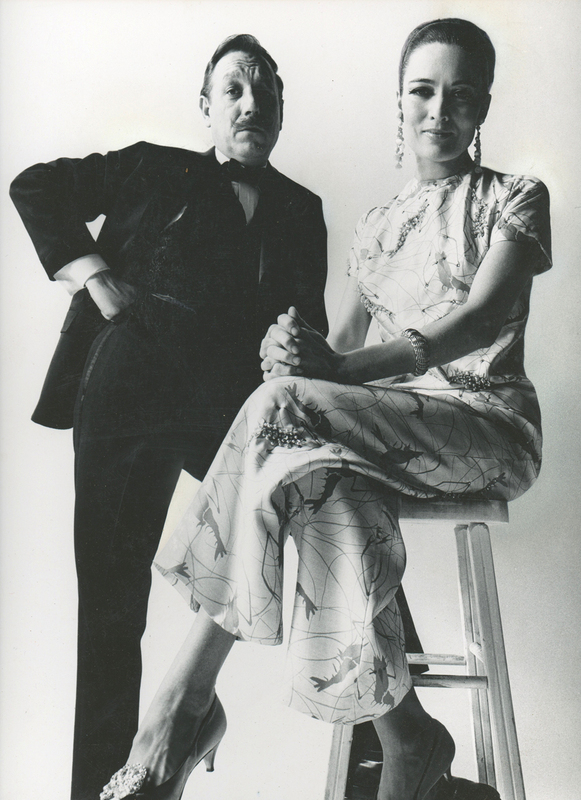 My father was a theatrical producer who was always on the road living a very gypsy lifestyle. 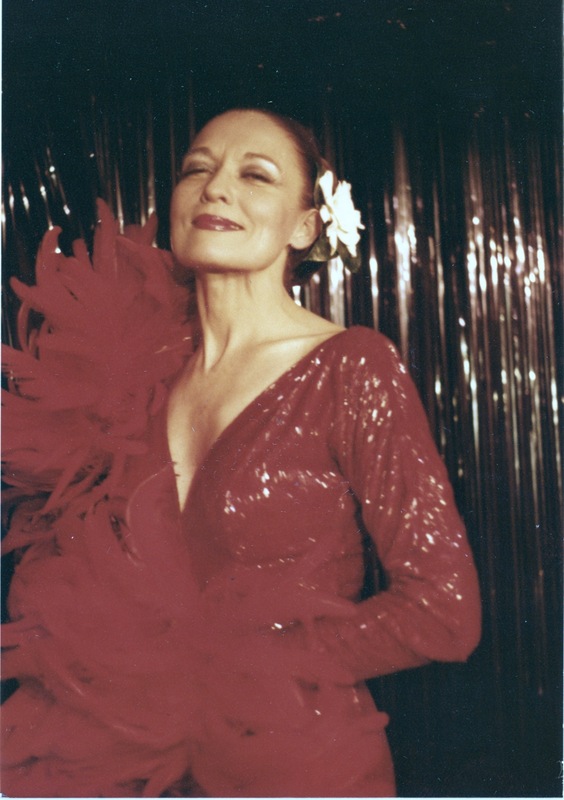 My mother was a nightclub singer. I mean a ‘normal childhood’ in the traditional sense was probably never going to be possible. So under those circumstances I think, with the right guidance, I could have been successful as a child actor but as I’ve said before, Paula, (and you may have read this in other interviews) what I’ve come to understand is that, particularly now with the tremendous reception Mindhunter has received, when success comes a little later in life it’s actually sweeter, because you really get to feel like you worked for it, and you waited for it, and you earned it and so you feel like you deserve it – which is not to say I take anything for granted. As I said earlier in this conversation, there are a lot of very talented actors David could have chosen to play Bill Tench and I was the lucky one who got to do it, but what it has meant for me is that I’m finally getting a measure of recognition and success and better offers and deals, and all of that is coming at a time in my life when I’m in my early fifties and I’m really happy. There are a lot of actors who have a big success in their twenties to thirties, because they are young and handsome and photograph well, but in many cases by the time they get to their fifties, they are not even in the business anymore, a lot of them. It’s hard to sustain a career over decades, if I had to struggle, I’d rather do it then. You know what I mean? Struggle in my twenties and thirties but then have success in my forties and fifties, rather than the other way round. PC: You are obviously very keen on boxing. Do you appreciate it as a sport or use it as a means of defence, or attack for that matter? HM: I was always really intrigued by the sport because I think that you learn a lot about yourself and your ability to remain composed under pressure. As a little boy I was infatuated by the writing of Ernest Hemingway, that was one of the themes that would come up again and again in his writing; he was also a boxing fan and a guy who had boxed as a younger man. He would talk about ‘grace under pressure’ and ‘can you remain composed and do the things that you were trained to do?’ I feel that it builds character. It’s also an inherently dramatic sport. There is a long and very fruitful relationship between boxing and Hollywood. My younger brother, who was a very good boxer, had been Golden Gloves champion when we were little boys. I used to box with him and so my interest in it really goes back to when I was a very, very young boy. PC: Did you never want to be a boxer? HM: I fought as an amateur when I was doing Lights Out for FX back in 2010 in what they call The Masters’ Division which is for guys over 35 who want to compete – you know just to see how I would do – and I won. The thing is, Paula, it was always about being an actor for me. I believe there is something that we sometimes refer to as a ‘calling’. The way that I would define a ‘calling’ is just something that you understand about yourself: something that you don’t have to think about and analyze, you just know that it’s right, it’s the right choice for you, it’s the right fit for you. One of my favourite American playwrights, with whom I got to work at the end of his life, was the great Lanford Wilson who wrote a play called Angels Fall. One of the characters in the play is an aspiring tennis player, a young boy, who one day kind of stumbles onto a tennis court for the first time and he watches two guys, older guys, play tennis and he becomes fascinated watching their match. At the end of the match they wander off to get drinks or something and they leave their racquets on the court. He walks over and he picks up one of the racquets and he holds it in his hand, and he feels it and he swings it, and he grabs the ball, throws it in the air and hits the ball. And that first time he hits the ball… He knows, ‘This is me. This is what I want to do. I want to be a tennis player.’ And I think it’s a great advantage for a young person when you have that certainty. When you know, ‘I am an actor. I’m going to be an actor.’ Because, as Lanford Wilson says in the play, “once you know what you are, then the rest is just work”. You know that the steps that will be necessary for you to take in order to arrive at your destination will become clear to you, if you persevere. At least you know what your destination is. My late brother Michael, whom I loved very much but who was dead at 26 years old, was very lost for much of his life. One of the problems that he had as a young man was not being able to decide what he really wanted to be in this world. Not having that certainty that I always had, that acting was the right choice for me. My parents had done it, they had been successful in their way to a certain point, I would carry on and I would potentially be even more successful than they had been, but one thing that I knew was that I loved it. PC: So was he not interested in that side of it. HM: He was not interested in that side of it but that’s okay, as long as you are interested in something else because the thing is, no matter who you are in this world, you have to choose. You can’t be everything. You have to say, ‘I’m going to go after this. I’m going to try and have a career in the film business in the United States.’ And well, okay, you have made a choice, now you go out and you try to do it. But the crucial moment is when you make that choice because until you make that choice, you are kind of lost aren’t you; floundering. That was what was so difficult for my younger brother, even though he was a very intelligent young person and very talented, he simply couldn’t make up his mind and that caused him a lot of anguish. I was lucky that I never had to go through that because I didn’t have those doubts. I knew what I wanted to be. PC: As his older brother how did that affect you? Did you feel, not so much responsible for him, more protective of him? HM: Well both of those things. The other problem was that almost from the time I made the decision to become an actor, I was getting jobs, almost immediately – they weren’t big jobs, I wasn’t making millions of dollars. I was an understudy in a Broadway show, Biloxi Blues by the great American playwright Neil Simon, that won a Tony award for Best Play in 1985, and I replaced the actor Woody Harrelson, when he got a movie and suddenly there was a slot open and I got the job. Look I was just an understudy (in fact I never got on) but I was employed in a big Broadway show, in a Tony award winning play. Then it was a few episodes on a soap opera, then you get a horror movie. Then you get a call from someone like David Fincher and suddenly you are on the set of a 50 or 60 million dollar movie, shooting in London at Pinewood studios and it’s all very exciting and you know you are in an A picture with a great director; everyone knew he was a great director even back then. So yeah I would go back and I would try to encourage him. He was a very accomplished artist: the kind of kid who could sit with no formal training of any kind, he could just pick up a pencil and a piece of paper and draw a picture of your face, Paula, and in three or four minutes it would look exactly like you – like it was a photograph. Not everyone can do that, you see what I mean? I can’t do it. It was a mime school, Paula, it was Marcel Marceau’s School of Mime. Now imagine if your parents are going to want to spend many thousands of dollars to send their child to a far away country where he can learn to be a mime [artist]… No-one would! But it was not only a mime school, we also studied acting and studied dance, fencing and acrobatics and tumbling and all of these things. It was a very well-rounded curriculum that was focused on performance and physicalized performance and it was an amazing experience. But it was the kind of place that only a crazy, young, aspiring actor like me would choose – and my mother was all for it. All for it. PC: Hats off to her! HM: It would have been the same for my younger brother, if he had wanted to go to art school and be a painter. Anything that you want… you just have to choose something, and then you work at it. And with the talent that he had, and with the support from the people that loved him and were behind him, I’m sure he could have been successful. But we will never know because he died at 26 years old. PC: That’s sad. I can’t imagine what your poor mother must have gone through, when that happened. HM: She was very stoic about it Paula but every parent, of course, expects to outlive their children and, you know, the fact that he died so young, so unexpectedly, there was part of her that I think was never completely the same. That was another reason that I made a particular effort to be as close as I could to her at the end of her life because she only had one son left and I thought, ‘If I’m the only one left, it’s very important that she have a good relationship with me.’ I wish I’d have had more time with her. PC: Well that was great she lived until she was 90 though. PC: Yeah it’s never enough though is it? My dad died last year and I often say if only I could see him one more time… but even that wouldn’t be enough. You would want to see them again and again and again. HM: Yes that’s the thing but what can you do? I mean at least, as I was saying earlier when I talked about the painful way my father died of throat cancer, I was grateful that at least when my mother died she went very quickly and with no pain. Living her life: very active, going out every night having fun, laughing and spending time together and then bang! From one day to the next she was gone. PC: You would not have wanted to see her suffer. HM: Yeah I would not have wanted to see her suffer the way my father did. My mother’s mother had a stroke that left her completely paralyzed and unable to speak and the doctors gave her six months to live but she lived in that condition for over seven years! And the reason was because my mother quit show business, and went back to school to learn how to be a nurse’s aide. HM: Yes she took care of her mother as an invalid, for seven and a half years and you know, when someone is bedridden and paralyzed they have to be turned every four hours because, if they are not turned they develop bed sores and the bedsores can become infected (and that’s what killed Chris Reeve, you know the actor who played Superman). So for seven and a half years my mother slept on the floor next to her mother’s bed, and every four hours she would get up and turn her. I was a young boy and I witnessed that, and that was my greatest fear – because my mother had had a couple of strokes as well – that one of the strokes would leave her in the same condition as her mother. PC: Holt, you are a boy and a half but wow, your mother! What a dedicated daughter she was! HM: You know Paula, it’s funny, because as I said in another interview, doing all this work on Mindhunter and all of this research about these criminals (you know these murderers who commit these horrible crimes) and what you discover is that in every single instance, they have a bad relationship with their mother. They have an abusive mother or a domineering mother, an alcoholic or drug addicted mother in every single case. It’s even caused me to reflect back even more, on how fortunate I was to have been brought into the world by a woman who really wanted to be a mother. PC: And who clearly adored you as well, both of you. You are always going to have that, no matter what happens in your life. HM: It’s meaningful to me, it really is. I understand how lucky I am. PC: Yeah! 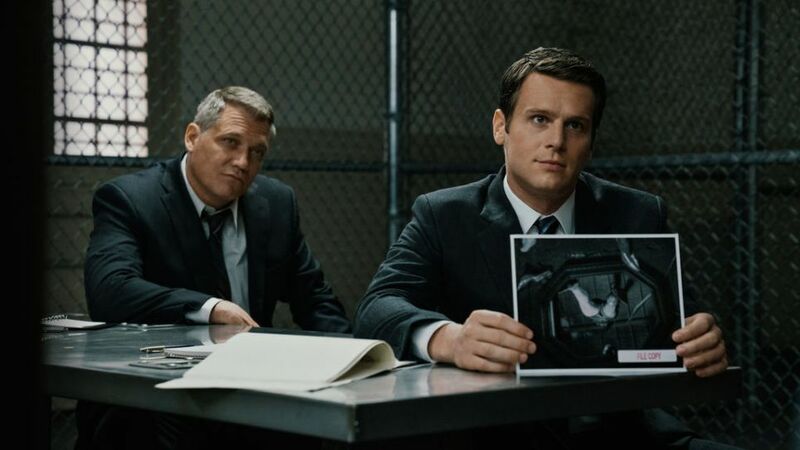 I guess we should really talk more about Mindhunter (laughs). Has it compelled you to dig deeper and try and comprehend what actually makes a killer ‘kill’ in the first place and then why they keep on killing? Putting aside what their childhoods or mothers have triggered. HM: You know, one of the most gratifying things about being a professional actor is the fact that you get to walk in other men’s shoes for a time and you get to really try to understand everything that you possibly can about their work, and their lives, and their beliefs. And what you hope for is fascinating subject matter. That’s what we have on Mindhunter. HM: (Laughs) Yeah, exactly … But what it means is that I have yet another whole cast of characters I get to study. I won’t say whether or not we will meet him in season two, however, there is a very famous serial killer named David Berkowitz who was known in the 1970’s in New York as the ‘Son of Sam’. It so happens that the Son of Sam is in a prison that’s only 90 minutes outside of New York City and he has also become very religious and is very active in the church community – they come to visit him. PC: Is that real though? Do you think he could have genuinely changed? HM: I wrote him a letter Paula. I said, ‘Will you allow me to come and visit you Mr Berkowitz?’ I am hoping he is going to respond in the affirmative, because one of the things that did seem clear to me was that most of the guys in law enforcement do not believe that these kinds of killers can be rehabilitated – they just don’t buy it. However, one of Charles Manson’s girls Leslie Van Houton was released from prison recently on parole and I think, I honestly believe (but I’m going to reserve judgement until I meet him) from everyone I’ve spoken to who has interacted with him, that David Berkowitz may be one of those rare guys who has actually been rehabilitated. He seems to be a very different person by all accounts, so we will see. If I get the meeting with him I’ll do a follow up interview with you. PC: That would be brilliant! Imagine getting an interview with him! You were lucky enough to meet John Douglas: what did you learn from him? HM: I was. I spent a weekend with John at his house in Virginia. I like John very much. From my very first interaction with John, he was so gracious, so generous with his wisdom and so eager to help in any way he could and to be a part of the show. So John has been a great resource to me and he is a legend in the FBI and look, he wrote the book. I wish that Robert Ressler was still alive – Ressler is the gentleman whom my character is loosely based on – I would have loved to spend some time with Ressler, but he passed away in 2013. PC: There will be plenty of material on him I would imagine. HM: There absolutely is! He wrote five books. There are extensive videos on Robert and there’s a lot about a Robert. When I went to Virginia, John Douglas is so generous, you know like, ‘Come. You can stay at my house. I’ve got an extra room.’ That’s the kind of guy that he is. So I was there at his beautiful house in Fredericksburg, Virginia, we stayed up drinking beer until 4 o’clock in the morning and he told me stories about cases that he’d worked on. He told me about the BSU in the ‘70s, and he told me about his relationship with Ressler, and he told me about Charles Manson, and he told me about David Berkowitz. It was just one of those great experiences. That is one of the wonderful things about acting, it’s like: in what other profession would I find myself staying up drinking beer and talking about serial killers with the legend of the FBI John Douglas? Only in this job. As I am a chef I would like to know, which is your favourite dish from around the world? HM: My favourite dish is traditional Moroccan couscous with grilled lamb shoulder or as the French would say – épaule d’agneau grillé, and my favourite place to have it is a wonderful restaurant called Dar Yacout in the old city in Marrakech, where I go every time I attend the film festival there. Book you are reading right now? HM: Right now I’m reading a book called The List about the Atlanta Child Murders that began in the late 1970’s, as well as Without Conscience – Charles Manson in his Own Words and On Killing – The Psychological Cost of Learning to Kill in War and Society, needless to say they’re all research material. PC: Which genre of music do you enjoy? HM: My taste in music is eclectic and I listen to many different styles, but if you made me choose my favourite it would be what they used to call “torch songs” by George Gershwin, Cole Porter, Harold Arlen and others, because I grew up listening to my mother sing those songs from the time I was a child. PC: What word do you use the most often? HM: I’d like to think my “most used word” is “Thanks”, I say it 50 times a day. Many thanks to Holt and his team for their time and professionalism in conducting this interview.